There is no shortage of great golfing communities from which to choose in the Ballantyne area of South Charlotte. If you are a golfer relocating to the city then you have probably heard of Quail Hollow Country Club, home of the 2017 PGA Championship. The allure of the Quail Hollow Club and its surrounding homes is obvious, but it comes with a price that is not for the faint of heart – think upwards of $70,000 initiation fee and more than $600 a month in dues, not to mention the years long wait list for membership. It is much of the same for many of the Queen City’s toniest country club communities, some of which truly are not geared toward families and children. South Charlotte’s Ballantyne Country Club, however, is a great, family-friendly live, play community that has something for everyone. Ballantyne Country Club was developed in 1996 on once-thriving farm land and quickly became a golfing and living destination in the South Charlotte/Ballantyne area. Amenities abound on the nearly 2,000-acre country club community that includes 18 holes on a Rees Jones-designed course. The club offers a range of memberships, including golf, tennis and social memberships. The family-friendly pool area offers plenty of lounging areas for adults and splash areas and a water slide for the kids or kids at heart. The Ballantyne area has grown up around the country club to make it easily accessible to great restaurants, entertainment and shopping in Ballantyne Village and along the Johnston and Rea road corridors. For commuters in the family, I-485 access is available at Johnston Road, and there are various back-road routes to get you to South Park or uptown in less than 30 minutes. Ballantyne Country Club is zoned for some of the area’s best schools, including Charlotte Mecklenburg’s Ballantyne Elementary School, Community House Middle School and Ardrey Kell High School. 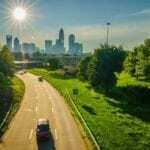 The area is also convenient to many great private school options, such as Charlotte Latin School, Charlotte Country Day and The British International School of Charlotte. Homes in Ballantyne Country Club range from modest executive residences priced in the half-million dollar range to expansive custom estates that exceed $3 million and 12,000 square feet. From mid-2017 to mid-2018, the average sales price in BCC was $769,430 and about $173 per square foot. Want smaller, maintenance-free living space? The “Traditions” neighborhood within Ballantyne Country Club is a great option, with 26 detached, brick patio homes that are smaller than 5,000 square feet and include exterior maintenance in the monthly fee. Ballantyne Country Club homes are zoned for Charlotte Mecklenburg’s Ballantyne Elementary School, Community House Middle School and Ardrey Kell High School. There are also some fantastic private schools in the area for children of all ages. Do not overlook Ballantyne Country Club in your search for a great place to live and play. 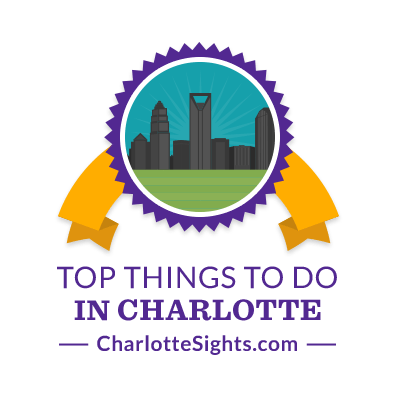 The South Charlotte area and Ballantyne have so much to offer The area and community has so much to offer, whether your family is large or small! Two more great options for country club living in South Charlotte are Piper Glen and Providence Country Club. Both are less than 10 minutes away from Ballantyne Country Club. Love golf but need a more affordable option in nearby Ballantyne? Take a look at Raintree Country Club, an older community of more diverse home styles and price ranges.